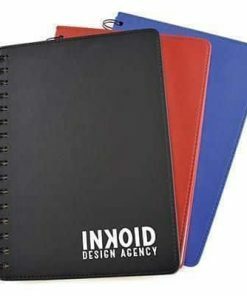 Note Book A4 with Hard Cover. 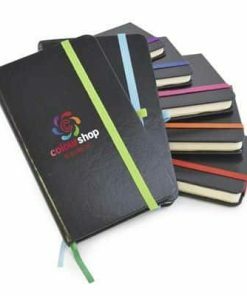 Cover Includes Custom Made Full Colour Print. 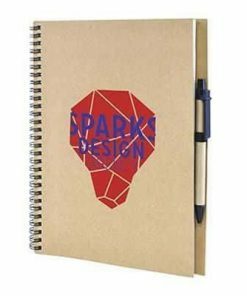 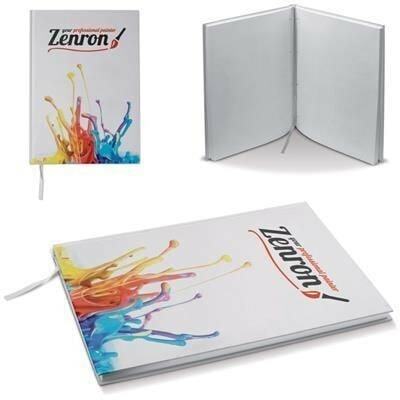 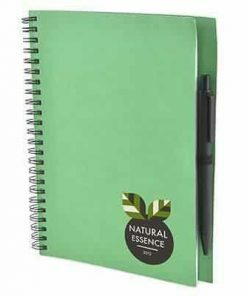 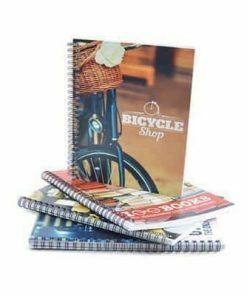 Note Book Contains 100 x Sheet That Can be Also be Printed Optional, as Well as Inner Pages of Cover. Reading Ribbon is Standard. 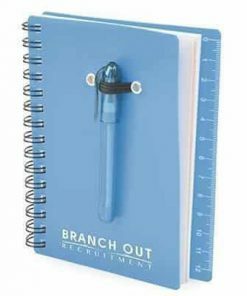 Note Book is Extendable with an Elastic Rubber Band, Pen-Loop, Hole Punched x Sheet or Publicity Page of 150 G-m Available in Full Colour. 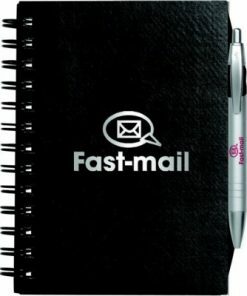 Minimum Quantity: 300.